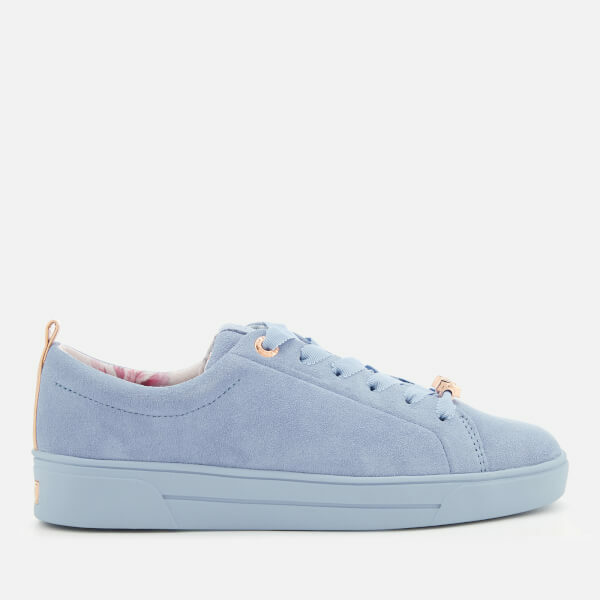 Women's low top trainers from Ted Baker. 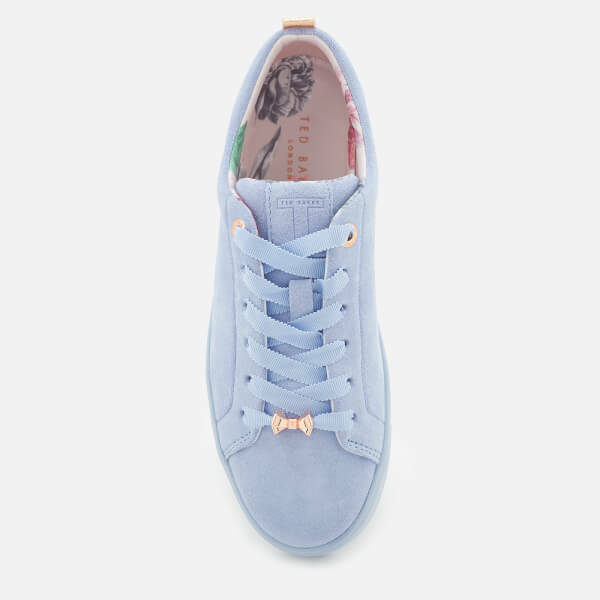 Crafted from blue suede to create a sleek, tonal upper, the 'Kelleis' sneakers feature a rounded toe, lace-up fastening with signature rose gold bow, and a padded collar for enhanced comfort and support at the ankle. Complete with metallic heel pull for easy entry, and a branded tongue. 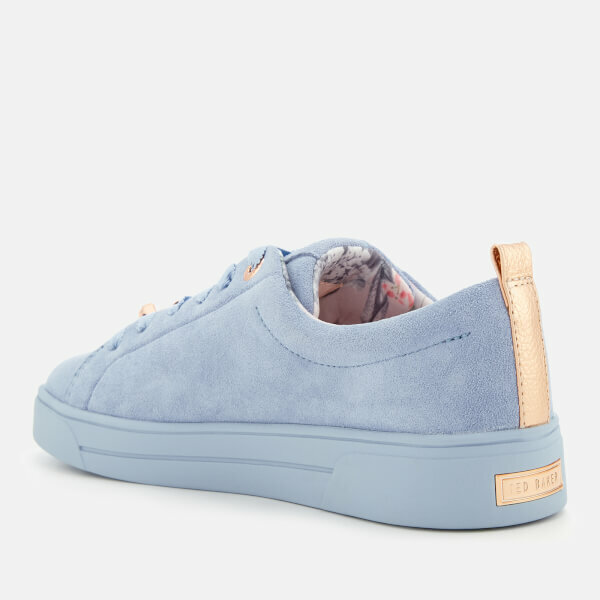 Set upon a tonal rubber sole with branded plaque to the heel. Upper: Suede. Lining: Cotton/Polyester. Sole: Rubber.